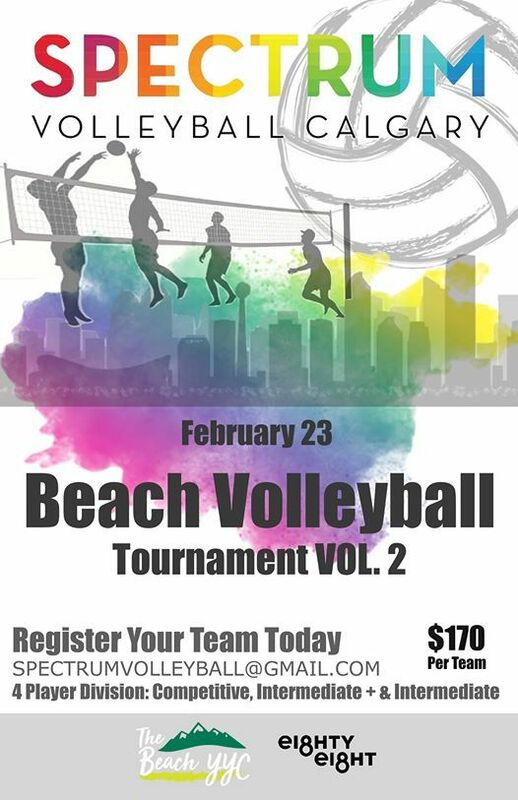 We’re at it again with Spectrum Volleyball’s Beach Tournament Vol 2 at The Beach YYC on Feb 23rd. Register by sending an email to U3BlY3RydW12b2xsZXliYWxsIHwgZ21haWwgISBjb20=. $170 per team. Volleyball ?, prizes, tons of fun with sand in your shorts !! !